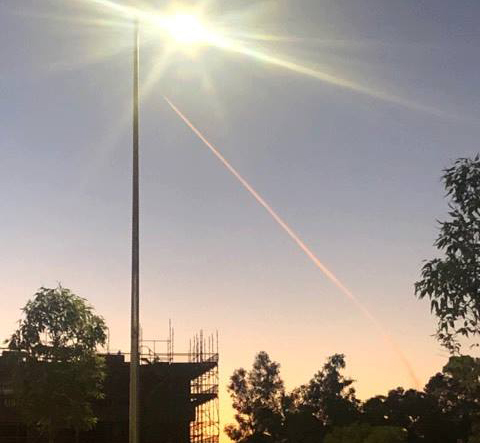 A STRANGE formation in Perth’s sky on Wednesday evening had people talking on Facebook. Fun speculations included it was a rocket launching, a UFO and the start of an apocalypse. The Perth Observatory later posted on Facebook it was a contrail from a Qatar Airways flight from Doha to Auckland. “Air contrails are line-shaped clouds produced by an aircraft’s engine exhaust while it’s at cruising altitude (above 26,000ft),” it said.